8 5/16" x 8 5/16" x 2"
5 3/8" x 5 1/4" x 2 5/8"
6" x 5 13/16" x 3"
8 5/16" x 8 5/16" x 3"
9" x 9 1/2" x 3"
Keep your pre-packaged foods fresh with this Dart C89PST1 8 5/16" x 8 5/16" x 2" ClearSeal hinged plastic container. Lock in freshness with the Dart C89PST1, a ClearSeal product with a perimeter seal designed to maximize product freshness and reduce leaks. It is designed to lock in place and open easily, making it perfect for displaying grab-and-go items in markets, delis, and to-go areas. 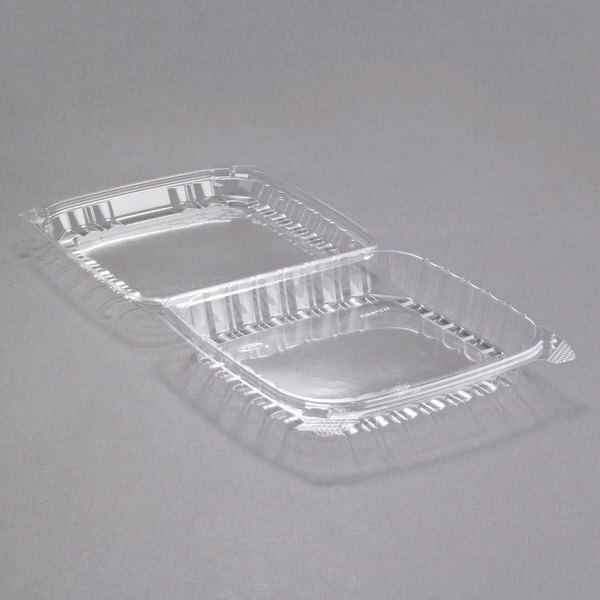 "Perfect size for lunch items with side dishes. The fact that they are clear really makes for nice presentation. I would recommend this product, they are priced very well." 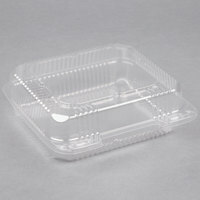 At only 2" deep, this container offers plenty of room for your foods without taking up much vertical space. The bar-locking mechanism on this container lets it snap shut securely, while the gripper tabs allow you to open it with ease. 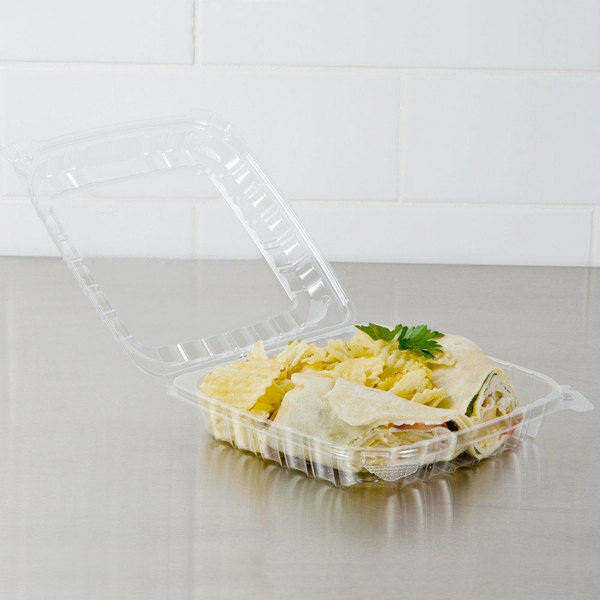 This container is perfect for pre-packing your desserts, salad, pasta, specialty sandwiches and wraps to go! It can also withstand temperatures as low as -22 degrees Fahrenheit. We use this container to display our personalized and photo imaged items. The window gives my customers a clear display and transport good. This container allows my product to look as if it were in a framed setting. 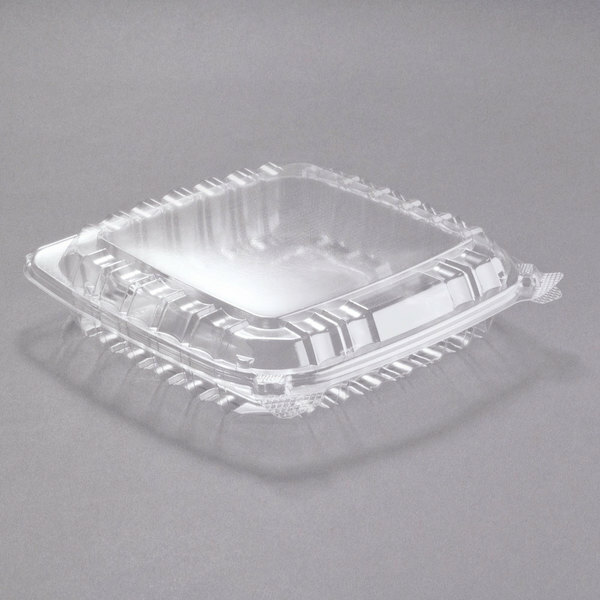 These Dart plastic containers are crystal clear so you can easily identify their contents. They are more shallow than most, which is less wasteful if you have a salad or thinner sandwich or wrap. They are easy to open and close and stay shut. 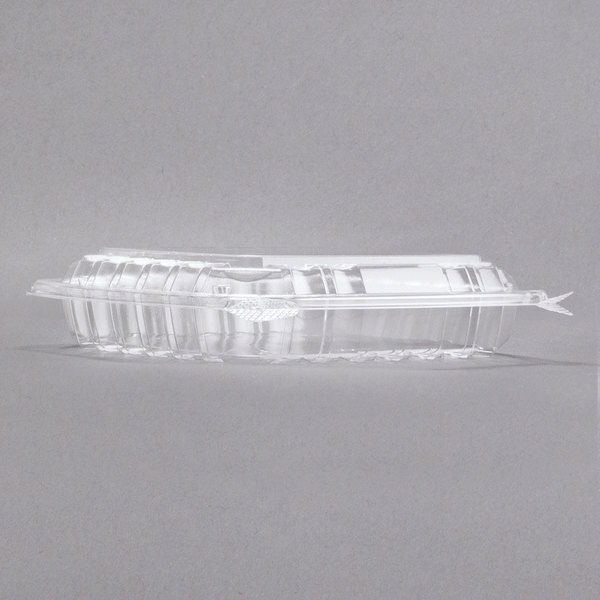 A nice shallow plastic container made of good, sturdy plastic. They are wonderful for packing our cookies in for the bake sales. They stack great and are a good price. Great container when you don't need to keep Inge warm. Work nice for pasteries and donuts or cookies. Recommended these and they don't take up too much room to store. 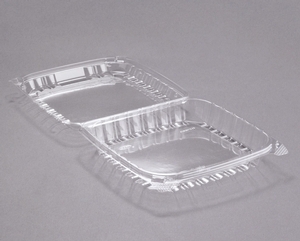 Perfect size for lunch items with side dishes. The fact that they are clear really makes for nice presentation. I would recommend this product, they are priced very well. We love to use this containers for our Large garden salads, perfect size and presentation. Big enough for the large portion of the garden salads, also good for packing our empanadas. This is a great product. Strong and protective,stacks well, if it was rated as a number 1 recycle item I would have given it 5 stars. This product is sturdy, closes with a snap and STAYS closed. We own a small catering company and were delighted that the product was what it promised to be. It's crystal clear, beautifully displays our salads and has increased our sales. 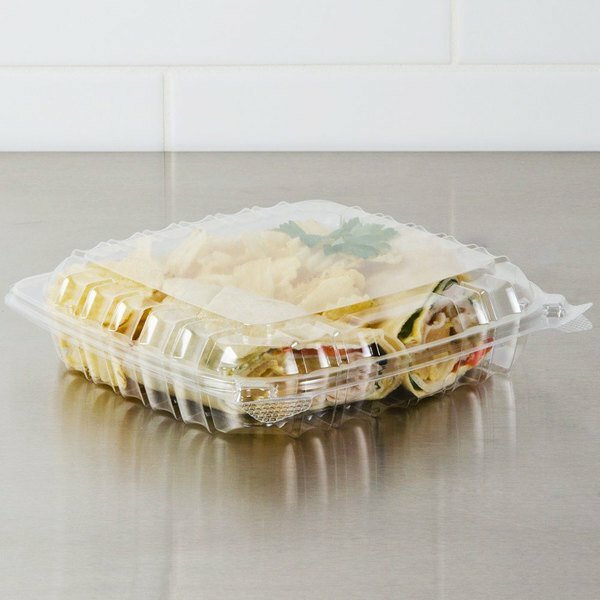 We would definitly reccomend this product for those wishing to buy a mid-sized salad take-out container. I would highly recommend this container. It is heavy enough to hold up under a full load without bending, and the lid stays closed. I couldn't be happier with the crystal clear plastic used - it seems to enhance the appearance of the food.